Auburn fans — or at least fans of Auburn’s mid-Aughts music scene — who gave up on “American Idol” after Simon’s final season (surely I’m not the only one) may have a reason to watch again… and again and again, if the spoiler alerts on Idol fan sites are any indication. 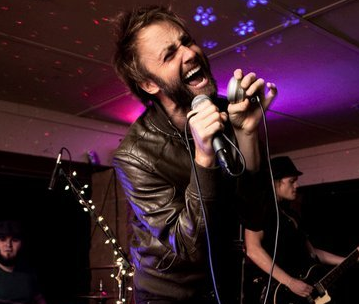 Huntsville native and Auburn alum Paul McDonald — he dropped out in 2006 with only two classes needed to graduate — will appear on the reality show’s Thursday night episode, which features auditions filmed during it’s recent stop in Nashville. McDonald, the 27-year-old frontman for formerly Auburn-based (and currently Nashville-based) roots rockers The Grand Magnolia’s (formerly Hightide Blues), is rumored to have made it into the Top 40 of the competition; some Idol blogs already consider him a favorite to win it all thanks to his gritty tone and potential for charming the “cougar demographic” currently thought to be dictating the show’s voting results. If so, he’ll be the latest in a long line of Alabama natives to become a star on “Idol”, including former Auburnian Taylor Hicks. A Heisman Trophy winner and an American Idol (and heck, maybe even a “Survivor”) in the same year? You gotta believe. * The University of Alabama White Bears? Wow. This would make me actually watch that show. I’m a huge fan of the band. Spoke to Paul after a show in B’ham once. Super nice guy. If he is a few credits short of the degree he wouldn’t be an alum would he? went to high school and played little league with him! go paul! Trust me, the “cougar demographic” is huge in winning American Idol.